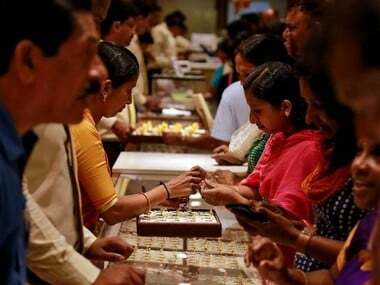 New Delhi: Snapping a four-day rally, gold on Friday declined marginally by Rs 40 to Rs 33,030 per 10 gram at the bullion market here on subdued demand from local jewellers, according to All India Sarafa Association. 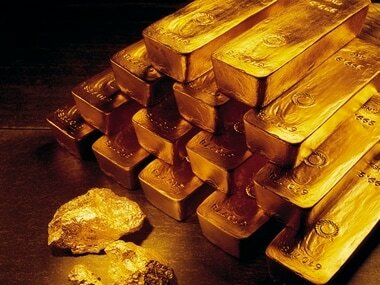 Globally, gold held steady at $1,294.06 an ounce and silver stood at $15.74 an ounce in New York. 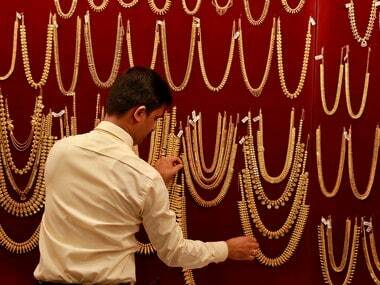 However, sovereign gold held steady at Rs 25,300 per piece of eight gram. 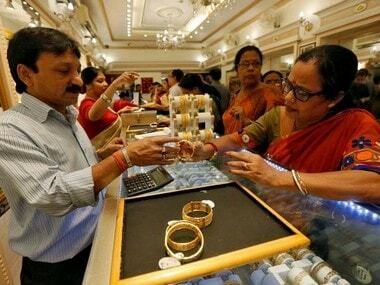 Silver-ready reduced by Rs 60 to Rs 40,450 per kg, while weekly-based delivery gained Rs 66 to Rs 39,766 per kg. 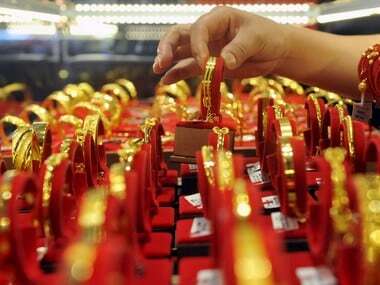 Silver coins traded lower by Rs 1,000 at Rs 77,000 for buying and Rs 78,000 for selling of 100 pieces, respectively.